When it comes to politics in churches, there is a lot of confusion (especially on the part of pastors)about what type of political activities churches can engage in given their non-profit tax status. 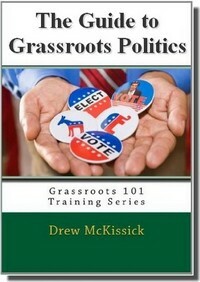 Some believe that all political activity is out of bounds and would put that status at risk. Wrong. Of course a lot of this confusion is generated by liberals who don’t want to see churches dominated by conservatives get more politically involved, (go figure). As a result, most of what pastors and church members hear about it being legally “taboo” is garbage. The problem is that a lack of knowledge leads to fear…and that leads to inactivity and ineffectiveness. The thing to know is that there is a LOT that churches can do that most of them currently don’t do. Church based groups do have some limitations when it comes to political advocacy however. In order to be more effective, (and avoid any problems), it is important to know what type of activities can and cannot be conducted in or by a church. 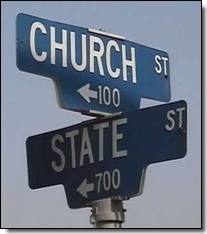 The bottom line is to avoid any partisan preferences in any activity done on behalf of the church itself. However, what people do on their own time is their own business. Once they are registered to vote, or receive information that educates them on how various candidates stand on important faith and family related issues, it probably won’t take them long to figure out who to support. Encourage your church to do what it can do and get engaged!